Wireless and easy - it just works. The Hawkin Dynamics mobile app is simple and easy to use on phones and tablets. Use the app to capture force data and provide instant feedback - and analyze in detail later on the cloud. 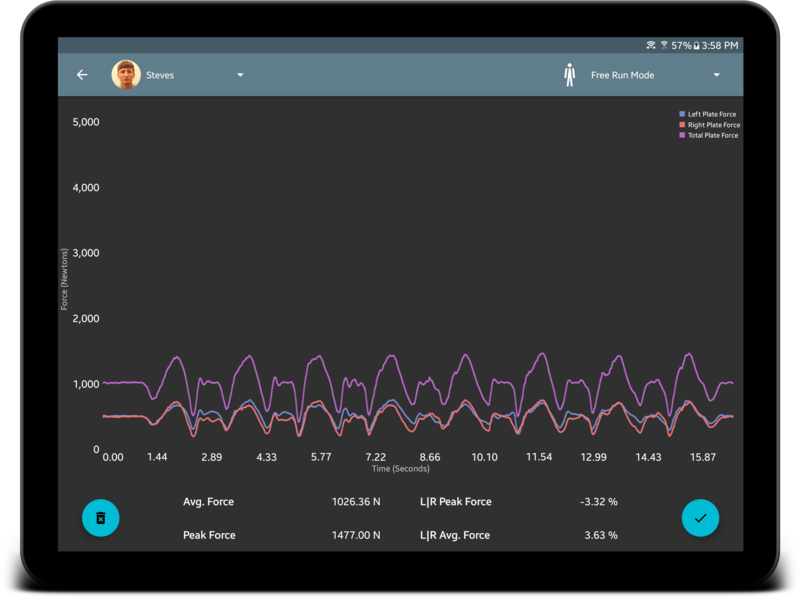 The app is designed around a natural user interface and enables coaches and professionals to get quality force measurements in an incredibly short period of time. Basic CMJ test for coaches - 4 metrics displayed in app immediately after test collection. The squat-jump - standard "concentric only" vertical jump test. Quick and easy output in the app immediately after test completion. 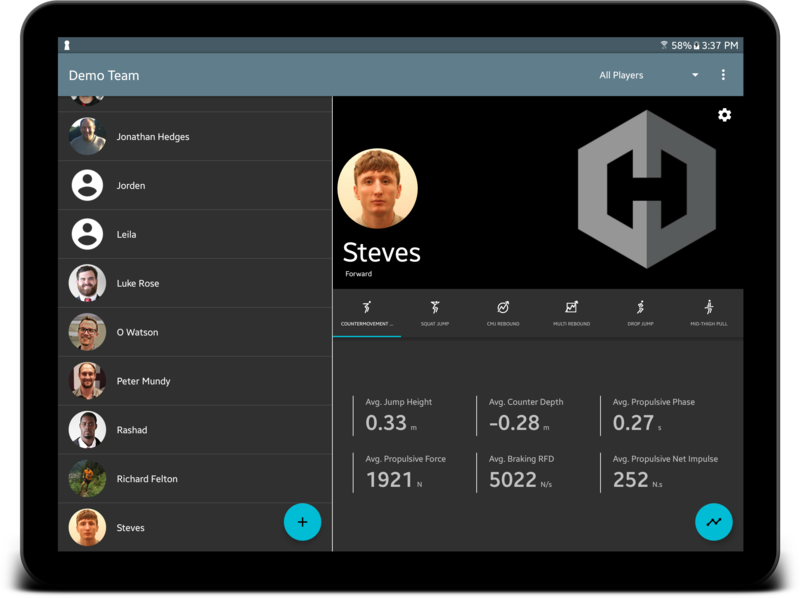 Select your drop height and you're set - quickly get insight into reactive ability of your athletes. Measure isometric strength any way you like - IMTP, iso-squat, there are no limits. RFD and force at various intervals instantly. This test is simple - a CMJ and a drop-jump combined into one test. Results include data on both jumps. Unlimited number of jumps within the time you set - measure RSI for each jump and get details on top 5 and top 3 tests. We believe that mobile is the future - one handed testing, simple workflows, and convenience that you just can't find with traditional approaches to sport science. We'd love to show you how our system works - a quick online demo is often enough to answer most questions. Let us know if you'd like to find time to connect! ©2019 Hawkin Dynamics, Inc. All Rights Reserved.